Replacing an aging (1936), deficient superstructure on a steel jack-arch bridge, the new "Route 31 Bridge, consists of eight, side-by-side precast concrete deck bulb-tee girders with a deck surface of 87 ft, 5-in. long x 42 ft, 9-in. wide. Completed in 2009, it is the first bridge in the U.S. to have a precast concrete deck system with Ductal® (UHPC) joints. As well, it was the first time that a U.S. engineer (NYSDOT), contractor (Ramsey Construction Inc.) and precaster (Northeast Prestressed Products) collaborated to construct a bridge with this type of bridge deck system. Of high importance; the schedule was extremely tight, with zero flexibility. 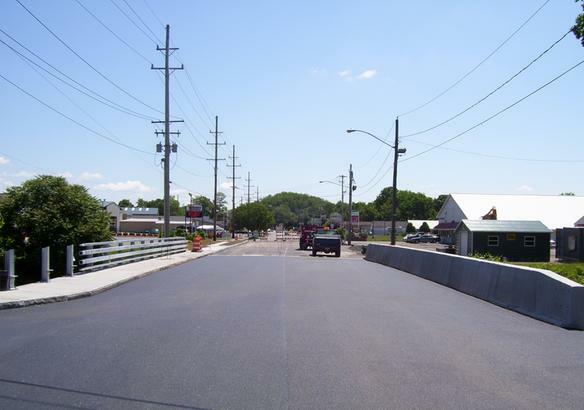 By using the precast deck system with UHPC joints, the contractor was able fast-track the construction process and open the bridge 3 weeks earlier than anticipated; ending a 19-mile detour which resulted in an extra half hour of travel time and significant reductions in CO2 vehicle emissions. 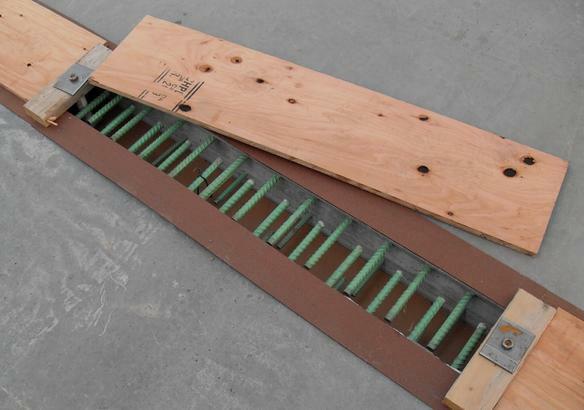 In typical precast concrete bridge deck construction, the joint material is the weakest link. With a 28-day, field cured strength averaging 26,500 psi, the Ductal® joint is the strongest part of the bridge. In addition to its superior strength, Ductal® provides superior durability, fluidity and increased bond capacity. Its fiber matrix is significantly stronger than conventional concrete and performs better in terms of fatigue, abrasion and chemical resistance, freeze-thaw, carbonation and chloride ion penetration. After testing to simulate10 million truck wheel load cycles, there is no leaking through the joint. This project provides an excellent example for the use of precast concrete components along with field cast Ductal® joints for accelerated bridge construction with no adverse effects in cost or durability. In fact, the durability will be enhanced by the use of precast prestressed components and extremely durable, crack resistant and leak proof joints.